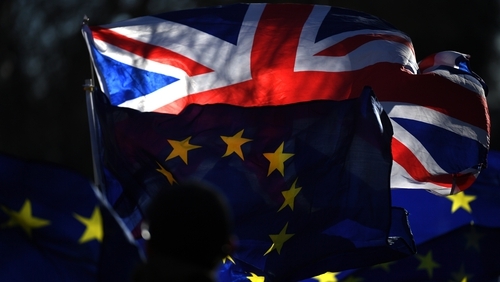 Prime Minister Theresa May is battling to break the deadlock after politicians rejected the divorce deal she negotiated with Brussels, but Britain is currently on course to leave the world's biggest trading bloc without a deal on March 29. UK companies are now rethinking the way they work, from stockpiling parts to halting production, moving distribution centres and testing new trade routes, in case customs checks jam up the normal operations. Below are some of the most detailed examples given of the changes being made ahead of the biggest shift to Britain's trading arrangements in almost half a century. GlaxoSmithKline, Britain's biggest drugmaker, and Astra are seeking to re-test and certify medicines in the UK and the EU, while GSK is updating packaging, amending importation licences and securing warehousing. GSK says the cost to implement such changes could be up to £70m over the next two to three years, with ongoing costs put at around £50m a year. Britain's biggest supermarket Tesco said it had increased stockholdings of items such as bottles, packets and tins, and had clear plans for each product category. However stockpiling can only go so far. Rival Sainsbury's, importing about 30% of food from continental Europe, said the country only had enough storage space to hold goods for a few days. either firm can hold much fresh food. British and European airlines have had to make a number of changes to continue flying after Brexit. British groups such as EasyJet have secured a licence and air operator's certificate in an EU member, while the Hungary-based budget airline Wizz Air has secured a British licence. Airlines and travel groups are also having to make sure that they will still be majority-owned by EU nationals once British shareholders are excluded from the numbers. EasyJet, Ryanair and Aer Lingus and British Airways-owner IAG are among the groups likely to be most affected. Britain's car industry, one of the country's few manufacturing success stories, employs over 850,000 people and generates annual turnover of $110 billion. The industry is nearly entirely foreign-owned after international names such as Nissan built plants in Britain to export into Europe. As well as stockpiling parts and finished vehicles, car makers such as BMW's Mini and Honda have moved their annual maintenance shutdown period to around the EU departure data to soften the blow of any chaotic exit. BMW is looking for lorry parking areas and warehousing on both sides of the channel, and investing in IT systems to handle any new red tape. On the paperwork front, Aston Martin joined Skoda in dropping the British certification agency as the body to approve its cars. Dover is Britain's most important gateway to Europe, handling 17% of the UK's goods trade. Up to 10,000 trucks a day pass through with everything from perishable food to medicines and the parts used by the car plants. Truckers have warned that the introduction of customs checks could lead to days of delays. The government is spending more than £100m chartering extra ferries while one small port 20 miles from Dover is being extended to increase capacity. UK ferry and shipping freight operator P&O said it would shift the registration of its British ships to Cyprus to keep its tax arrangements in the bloc. Both Sony and Panasonic are moving their headquarters from Britain into the EU. Technology company Dyson, led by Brexit backer James Dyson, is moving its HQ to Singapore but it says this is not related to Brexit. International banks have set up subsidiaries across the bloc, including in Ireland, to ensure they can continue to serve clients after March.